The garage door can be the most prominent feature of a home. If you are choosing a new garage door, it is crucial that you match the style of the garage door with the character of your home. There are several different materials to choose from, each having their own distinctive advantages and disadvantages. 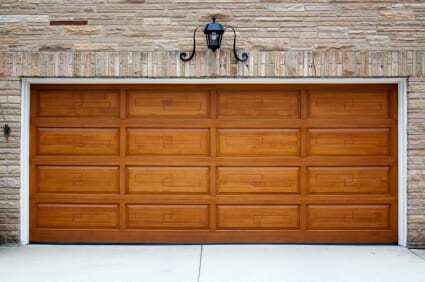 Below are some of the most common garage door styles. Wood doors are a classic choice for homes that are more craftsman style, country, or traditional. Wood doors can be made in any size or shape and are very sturdy. The price varies widely depending on the type of wood you choose. The downside is in humid environments it will need frequent sealant applications to prevent rotting and splitting. While a bit higher maintenance than a metal door, wood adds warmth and a unique quality to a home. Steel doors are the most popular due to their price and low maintenance. Steel doors are incredibly durable and easy to repair. However you must look out for rust damage, which needs to be repaired in order to extend the life of your door. You may also want to consider getting a steel door with a fiberglass overlay which us is stronger and does not rust. Aluminum garage doors used to be more popular but they are not nearly has hearty as their steel cousins. There are more expensive versions of aluminum garage doors that are laminated and rust proof, but they will run you quite a bit. They are more often sought out by businesses with larger doors since aluminum is lightweight. Action Garage Door would be more than happy to discuss the best garage door style that would fit your home. Please give us a call at (877) 392-2590 or contact us online. Our qualified professionals are ready to help.